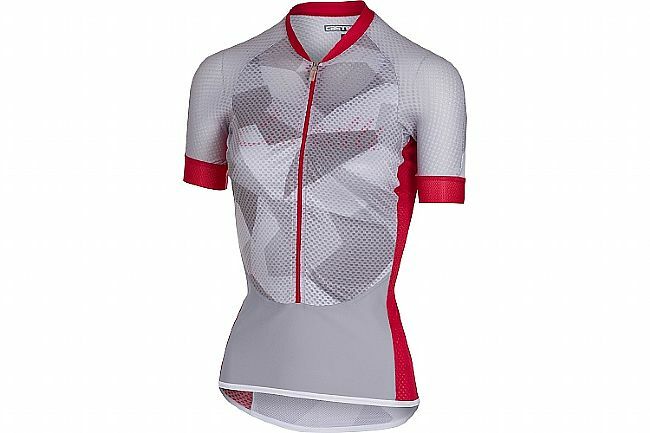 The Castelli Women's Climber Jersey started life as a lightweight jersey designed to make climbing easier. It's incredibly lightweight, at just 95 grams, and features a blend of technical fabrics that rapidly wick moisture away from the skin for instantaneous evaporation and cooling. This lightweight fabric is so airy that it's nearly transparent, but an internal bustier offers modesty where it's needed. Out back, three rear pockets keep the essentials close at hand. 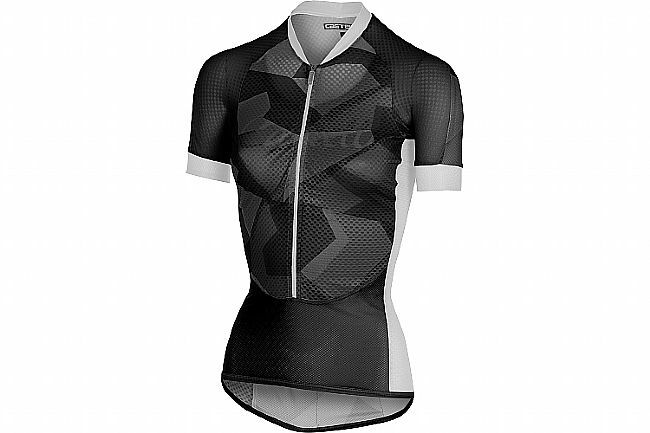 Ultra-lightweight jersey designed for maximum cooling and moisture-management. Flusso 3D Fabric rapidly wicks sweat away, for a light and dry fit. StradaPro 3D Fabric provides support to 3 rear pockets and UPF 16 protection. 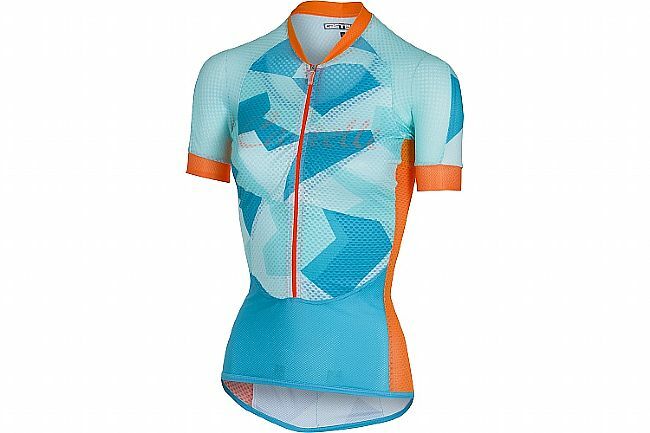 Bought this jersey for my wife, we do a lot of climbing on our rides. This is actually two jerseys, a light outer layer and an inner layer or liner ? The zipper only goes down about 75%,combine the two and no it's not really a light weight climbing jersey. kind of disappointed ..